Features Of Google Pixel 2 And Pixel 2 XL: Google Pixel 2 and Pixel 2 XL are the perfect phones of Google. It is more advanced compared to its predecessors. These phones have a big design which in high demand these days. In spite of the big design, the phone is efficient to handle. The company has integrated many amazing features and specs in these phones. The features will surely blow away your mind. 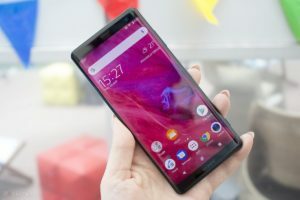 Google Pixel 2 and Pixel 2 XL are best-selling phones and the reason is its exceptional dual camera an all-new design that makes the phone unique. If you have a high-end phone, then this is the best range. Although, the company’s next-gen Pixel 3 is heading forward to take over the likes of Pixel 2. Nevertheless, the Pixel 2 and 2XL are still our favourites. These models were launched last year and still remains on the top smartphone list. It comes with a high price tag, but still, you can buy this if you are opting for Apple iPhone SE, which the company has replaced by the introduction of all-new iPhone XS, iPhone XS Max and iPhone XR. These apple smartphones give a tough competition to the google’s phones. The performance and camera of the high-end Google phone’s give a tough fight to the popular Galaxy S9, OnePlus 6 and also Apple XS. In this article, we will discuss the full features and specs of Google Pixel 2 and Pixel 2 XL. Here you will know all the unique features of these phones which make the phone different from all models. The Pixel 2 and 2XL looks same, but the size is somewhat different. The design of the phones are good, but we cannot call it fabulous. In terms of design, it failed to match the high-end Huawei P20 and iPhone XS. The phone is made of all aluminium which is not modern at all. We miss the combination of metal and glass exterior which is now used to manufacture many high-range phones. However, the rear side of the phone looks like stony detailing with tough and textured material which makes the device efficient to handle. It is equipped with a distinct glass ‘visor’ which remains above the metal foremost exterior housing the camera sensor and flash. The cover is completely scratch-resistant that is awesome. The Pixel 2 XL is much better than Pixel 2. Pixel 2 features a 5-inch display whereas, the Pixel 2 XL comes with a bigger 6.0-inches display. It displays amazing pictures and videos in high definition. The Pixel 2 XL is equipped with a P-OLED capacitive touchscreen with a resolution of 1440 x 2880 pixels and 18:9 ratio aspect. On the other hand, the Pixel 2 display comes with 1080 x 1920 pixels resolution and 16:9 ratio. Both the display is protected by a Corning Gorilla Glass 5. The smartphones have obtained an IP67 certificate which makes it complete dust and water resistant. The devices can survive underwater up to 1m for more than 30 mins. So, if you by mistake dropped the device under-water, then no need to worry. Google phones are also tested and found no major flaws. The camera is the special feature of the Pixel 2 and 2 XL experience. It captures amazing pictures in autofocus with vibrant and striking colours. The camera captures good images and records decent videos in low light as well. However, don’t expect the camera to provide camera experience like Huawei Honor P20 Pro triple primary sensor. The Pixel 2 comes with a 12.2 MP rear camera and 8MP selfie camera, with a f/2.4 aperture. The camera features background-blurring portrait mode for the front as well as rear camera and record videos at 2160p of 30fps. The camera also shoots 240fps slow-motion video which is common in every high-end phone. The front camera record videos at 1080p of 30fps. The Pixel 2 XL features the same front and rear camera. The Pixel 2 XL packs a 3520 mAh battery while Pixel 2 comes with a 2700 mAh battery capacity. The phones are capable of running for more than two hours of continuous operating. You can charge the phone is a very short time. The overall performance of the phone is good. So, this was the specs and features of Google Pixel 2 and Pixel 2 XL. The best thing about Google phones is that these devices get the latest Android OS updates which come with unique features and bug fixes. You can buy this phone if you are searching for a high price feature packed phone. I hope you liked this post and you can also share it with your friends who are searching for a high-end phone.